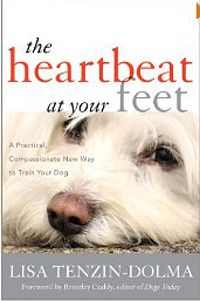 The Heartbeat at Your Feet is the first book to reveal how you can fully understand and communicate with dogs, and how you can easily eliminate any behavior problems, based on new information about animal behavior. Each chapter explores the mind of the dog, its instincts, body language, how and why dogs respond to the people and animals around them, and the profound insights you can gain into what your dog is thinking and feeling through the simple process of observation. Enlightening (and entertaining! ), the book guides readers to look at life from your dog’s point of view, to understand what your dog is trying to tell you and why, and to notice what makes your pooch listen to you. Including real-life examples throughout the work, The Heartbeat at Your Feet explains how positive methods of behavior modification work more effectively (and permanently) than old dominance methods, which have now proven to be ineffective. As a canine psychologist and professional consultant to dog owners, Lisa Tenzin-Dolma explains compassionate ways of working with dogs and offers readers a guide to improving pet behavior and the relationship between you and your beloved pooch. Lisa Tenzin-Dolma is the founder of the Dog Welfare Alliance, and the founder and principal of The International School of Canine Practitioners. She is considered to be an authority on canine behaviour and psychology. Some of the subjects she has written about, and taught, are natural history, astrology, tarot, dream analysis and psychology. Lisa is a published artist and recorded musician. Her education, skills and expertise encompass a wide scope of subjects.